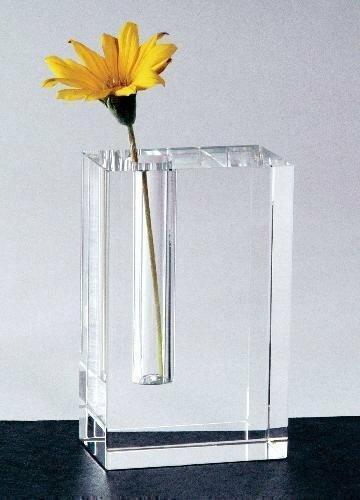 Optical Crystal Bud Vase Award. This item comes packed in an elegant gift box. 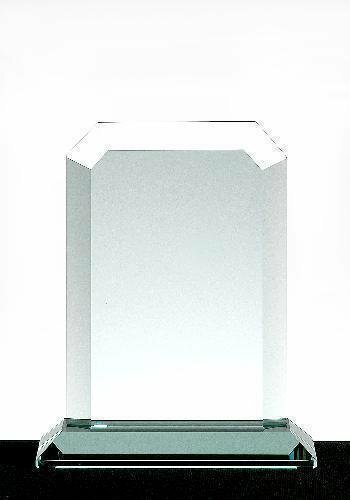 A stunning optically perfect crystal rectangular cube award features a bold beveled etching area. The perfect award to display success and achievement. The weight of the world is easier to carry with the Builders award. Two feminine figures hold up a beacon of light, where a full color logo can be added, standing atop a solid rectangular, light-grained rubber wood base. The Builders are an inspirational piece, the perfect compliment for those who have grown and thrived when faced with adversity. Keep on striving, for the future is looking bright. The Burke Clock is the perfect gift to honor benefactors, volunteers, and high achievers. Combine imprint processes on the circular form to enhance the silver clock face for a truly one-of-a-kind award. Production lead time for this clock is 11 days. 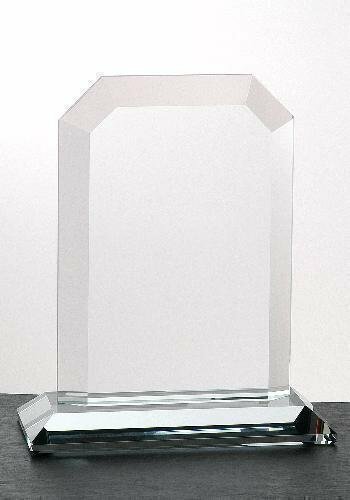 With a smooth satin finish this stainless steel base is creative award with a classic jade glass. Cairo Jade Glass Award. This item is 3/4" thick. Available in three sizes. Elegant mitered base. Cairo Crystal Clear Award. This item is 3/4" thick. Available in three sizes. Elegant mitered base. This award is optical crystal is on a diet. Small, slim, slender. This award can be designed to sit either horizontally or vertically based on individual preferences. 3" x 3" x 1-3/4"
3-1/2" x 3-1/2" x 2-1/4"
4-1/2" x 5" x 2-3/4"
A black marble accented with polished aluminum base holds up a beveled premium jade glass insert. The balanced oval design of the Callaway Award is well-rounded. The black crystal arms reach around the perfect oval at the center. All of this beauty sits atop an impressive black crystal base.